"Royal Perch" by Megan Woodward Johnson. "Golden Bird" by Emma Talbot. 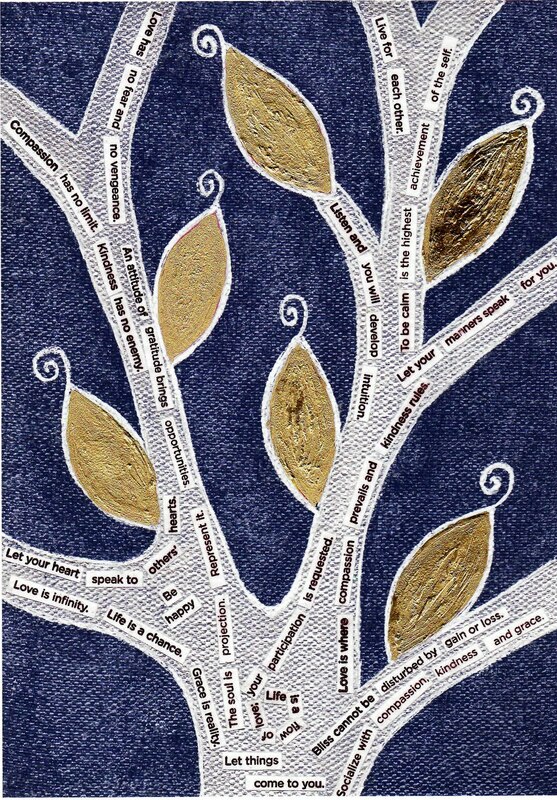 "Speech is Silver, Silence is Golden" by Louise Gale. Lovely Golden Plastic Stars photographed by Veronica Diago. 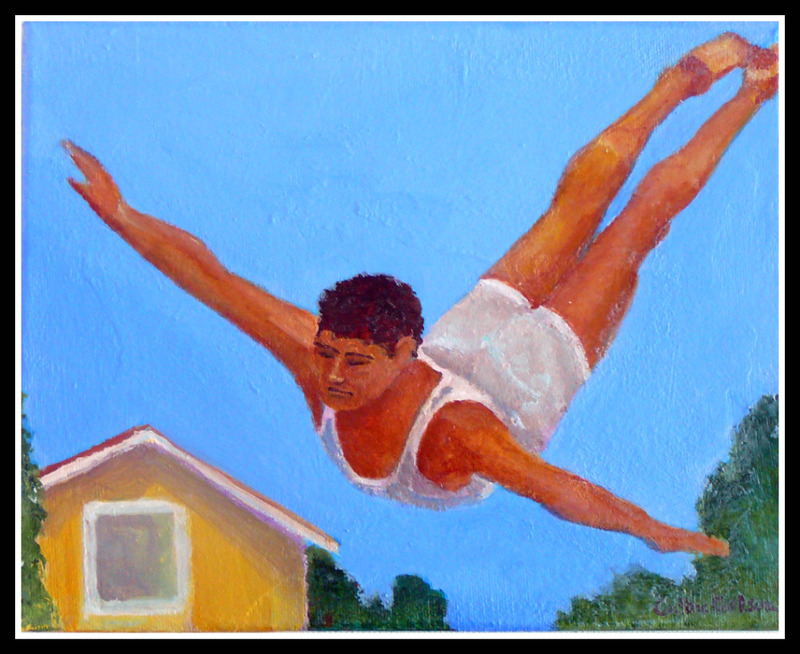 "Golden Boy" by Cathie Carlson. What a gorgeous grouping of pieces here for April's FAF! 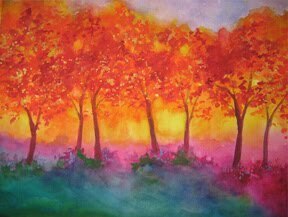 The golds, oranges, blues, greens and purples everyone has used truly resonate with my feelings of emerging spring here in New York. And I love that we have so many interpretations of "golden" here -- both emotional and aesthetic, figurative and abstract. Thank you so much, Pippin, Heather, Cathie, Veronica, Louise, Gina & Emma for making this such a pretty post. 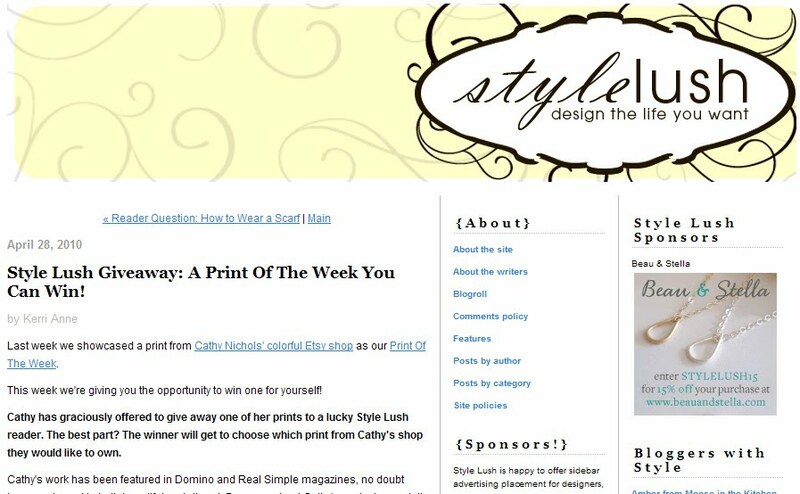 Print Giveaway on Style Lush Blog! Good morning! 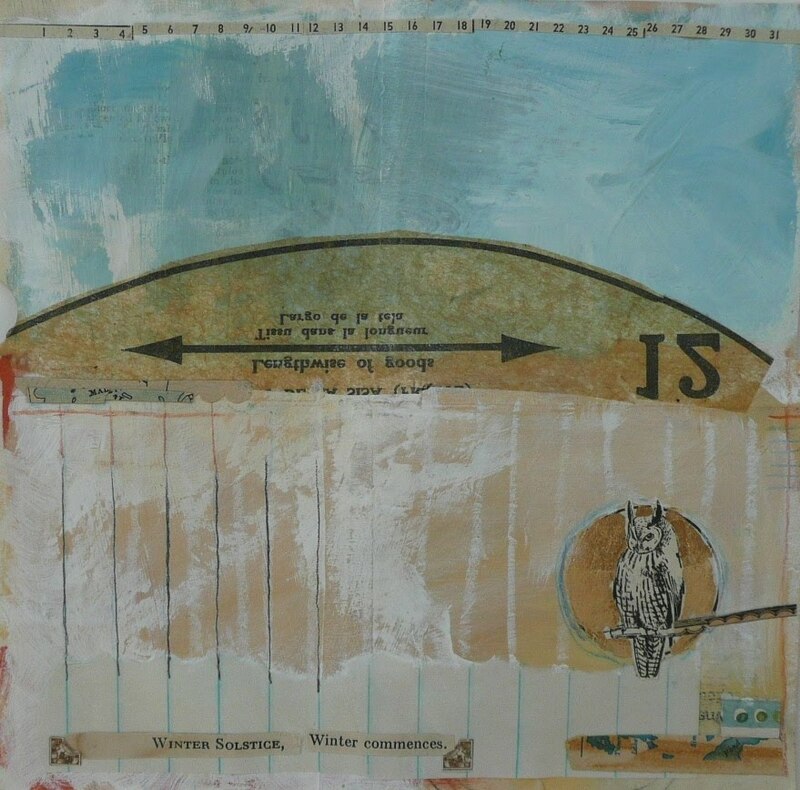 Thank you all so much for your sweet congratulations on my Artful Blogging article. You know, I'm actually just as proud of the writing in that piece as the artwork. I hope you can dig up a copy somewhere in your neighborhood. 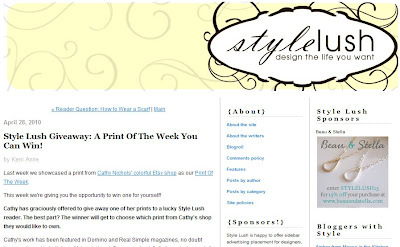 This week, the wonderful blog, Style Lush, is doing a giveaway of one of my prints. The winner gets to pick the print they'd like from my Etsy shop. So if you need a Mother's Day gift, this may be a great opportunity. You can find out the details here. Thank you to the artists that have already sent me their "GOLDEN" FAF image. I've just finished my piece tihs afternoon and can't wait to do the post! 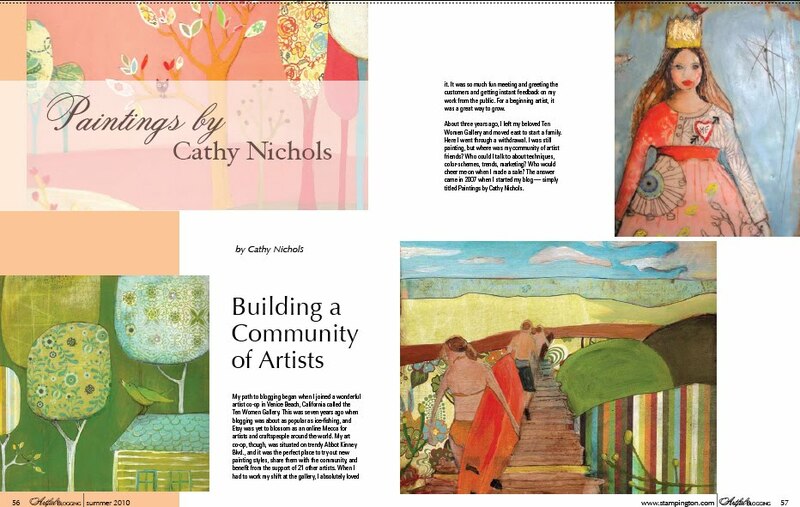 I'm in Artful Blogging Magazine! Yay! 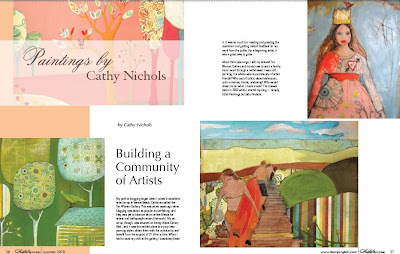 The Summer 2010 Issue of Artful Bloggging just arrived in my mailbox yesterday, and I couldn't be happier with their gorgeous 8-page feature on my work! Plus, there is my "I'm the Queen of My Imagination" painting right on the cover (plus a snipped from "Little Darling" in the upper right). In the article, I talk about my joy at meeting friends and building an online community through blogging. 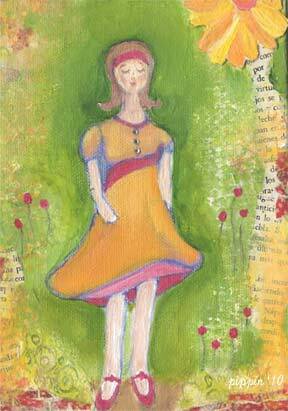 "Little Sister" 8x10 print for sale at my Etsy shop. Yesterday, the sweetest customer inspired this digitally altered print, "Little Sister." You might recall the original painting, "Little Brother" is an image of two polar bears on a blue background. 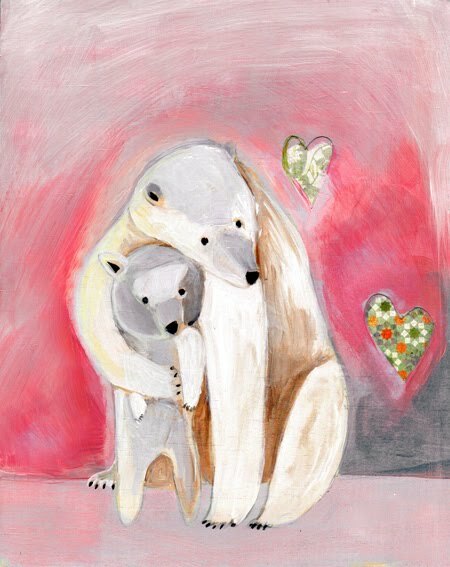 Well, this customer loved the image of the bears cuddling, but she was having a girl rather than a boy baby. So I came up with the idea of transforming the image into a pink one for a new baby girl. :) I think it's so funny that I never came up with this idea until now. I actually have the blue print hanging in my daughter and stepdaughter's room. Clearly one of them is a little sister not a little brother, but I didn't think of creating a pink "Little Sister" until yesterday. Well, thank you, Oonagh, for the idea! Speaking of children's art, I'm excited to have been chosen as the featured artist of an adorable, upscale children's shop called Sophi Blu for the next leg of the Northport artwalk. I'll be displaying a collection of my favorite prints on wood for children starting May 2. 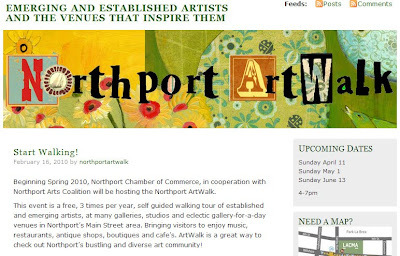 The Northport Artwalk is Today! 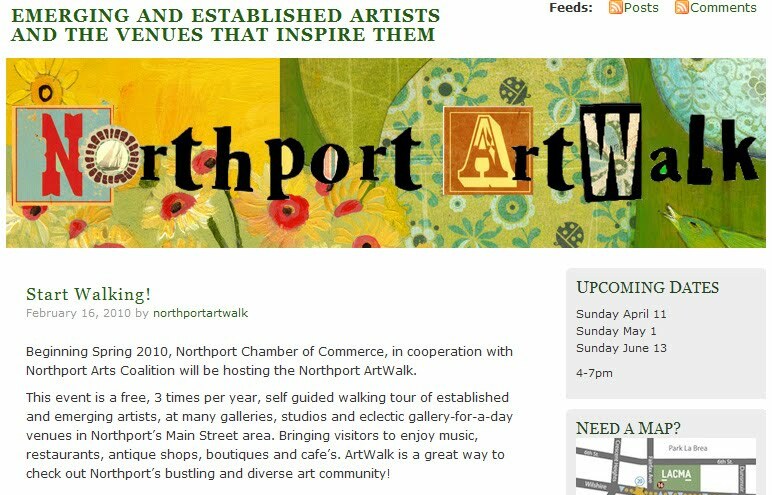 Today is the first leg of the brand new Northport Artwalk. I'll be at Caffe Portofino today with my work from 4-7 pm. If you are looking for me, I'll be in the back of the cafe by the entertainers because my work had to be moved from the front to make space for some cool puppets that needed the museum wires for display. By the way, please forgive my lax blogging of late, I have been very sick. I had a high fever for almost a week, then severe dehydrtation and ... well I won't go on. I just ended up in the hospital on an IV (thank goodness for those) a few nights ago and now seem to be on the mend. Something like this really humbles you. I never before thought that my body wouldn't just right itself, but there does come a time when you realize it's time to go to the big, scary (endlessly slow) ER for help. And I'm grateful to all of the kind nurses and volunteers who took care of me -- and to the doctor for prescribing the morphine. That was very helpful. Well, the children are calling and we must go move "Princess of the Borderland" out from behind the Caffe Portofino piano before this afternoon. I will post some pictures of the event later. Have a great day! 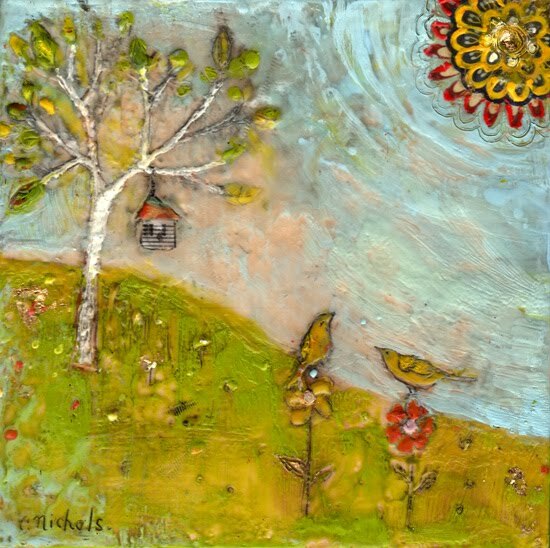 It's "Spring" at the Nahcotta Gallery! 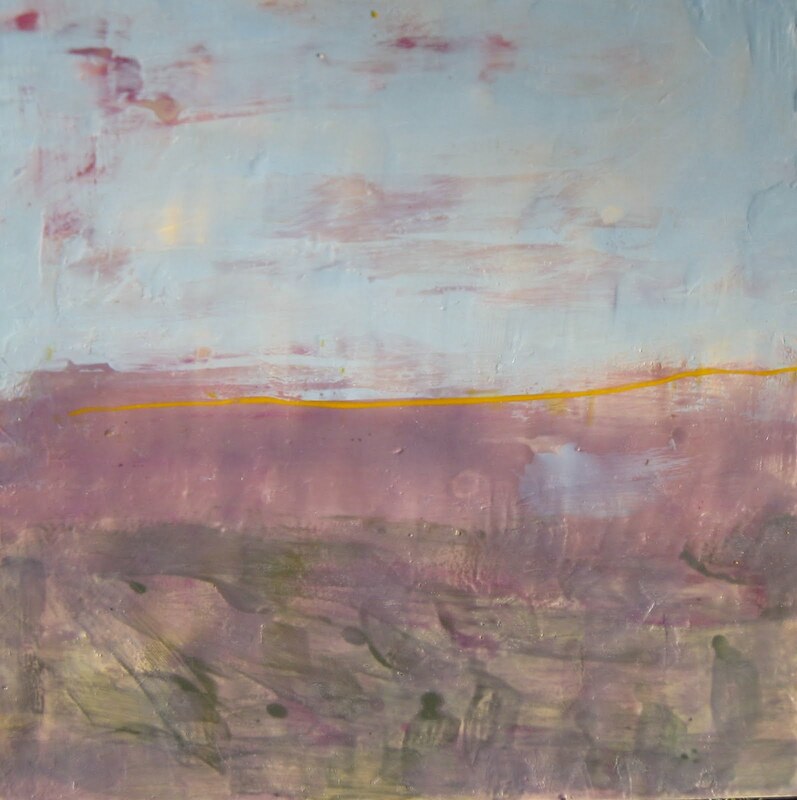 My encaustic paintngs are now at the Nahcotta Spring show along with work by these wonderful artists: Matt Adrian, Beth Billups, Amanda Blake, Teresa McCue, Helen Musselwhite, Betsy Thompson and Charyl Weissbach. The show opened on April 2nd and will run through May 2nd. Check out a sneak peak of some of the images here. 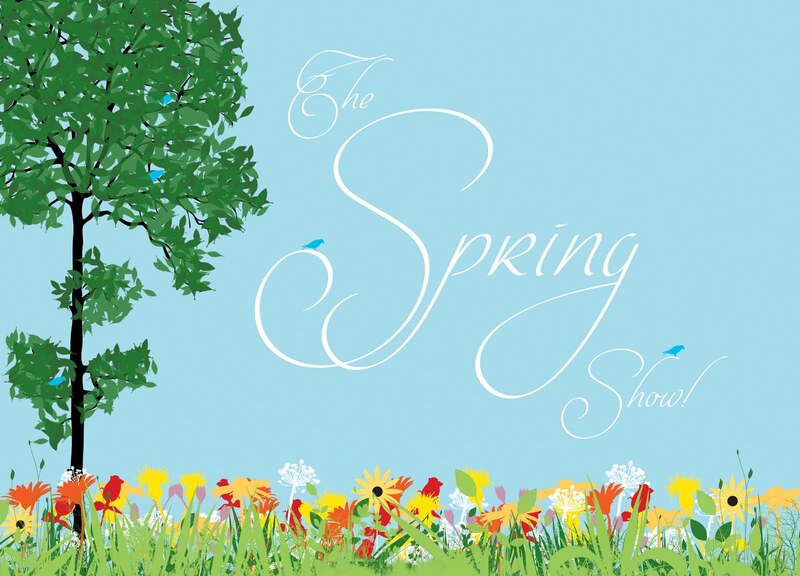 You can see my collection of work at the Nahcotta "Spring" show right here. I'm also happy to be back here in blogland. Our vacation to Florida was just beautiful, but we got not one, but two rounds of the flu! Can you imagine? Still, it was really sunny and pretty there, and Annabelle adored swimming in the pool while Nicky was thrilled to see the ocean from his crib every morning. I guess now it's time to get back to work. 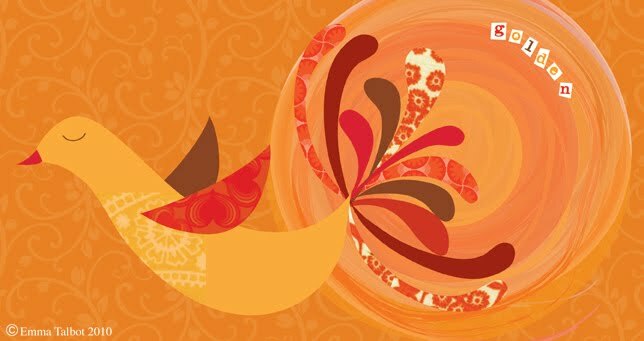 Wishing you and your family a happy Easter weekend!